I have always loved soda bread. 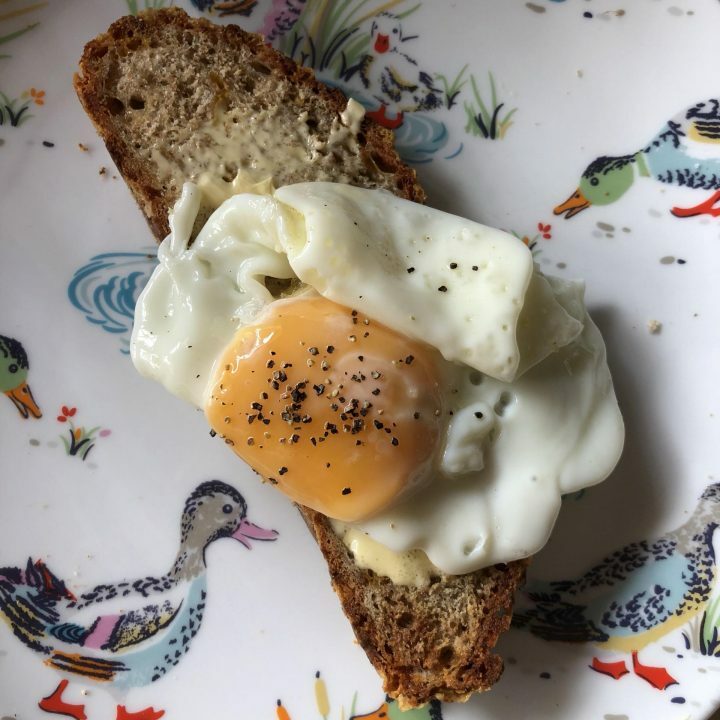 I remember visited Ireland as a child and having soda bread for breakfast served with a runny boiled egg for breakfast every morning. It’s the simplicity of the meal that I liked and how the soda bread had a denser texture to it than an ordinary loaf had. 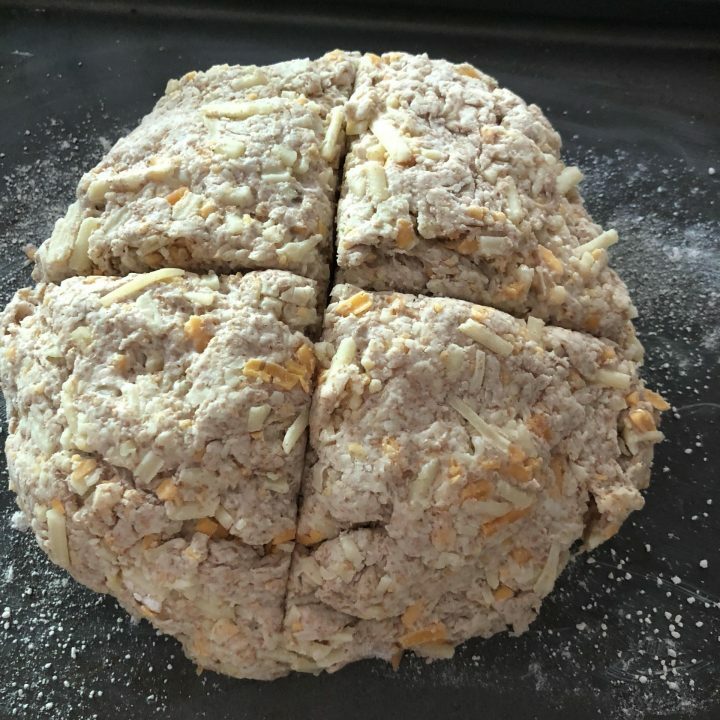 I used to make soda bread with my Nan whenever I went to visit and it’s something I remember fondly of the times I spent with her; making soda bread then a picnic tea with cheese, ham, real butter and thickly sliced soda bread. 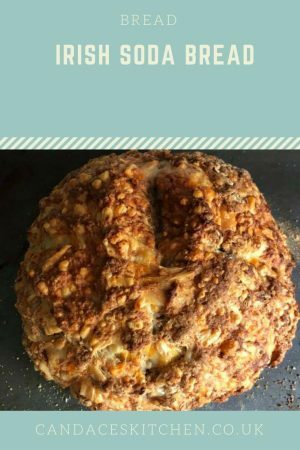 Soda bread is really easy to make as it doesn’t use yeast to rise and therefore you don’t have to wait for it to prove for a few hours like traditional yeast. The addition of bicarbonate of soda help the bread rise and gives a tight crumb texture. It’s possible to make soda bread in under an hour. I like a mixture of 50:50 wholemeal/spelt and white flour but all white will also work. I have found that all wholemeal four can be quite dry. Add the flours, salt and bicarbonate of soda into a large mixing bowl and stir well. Make a well in the centre and pour in the buttermilk, mixing to form a soft dough. A little extra milk may be needed. At this point I sometimes add some grated cheese and a chopped peeled apple. Form the dough in to a round and slightly flatten. Bake the soda bread for about 30 minutes or until the loaf sounds hollow when tapped on the bottom. The soda bread is lovely served with butter, mature cheese and chutney or toasted with pate or a simple fried egg. When in season I like to serve the soda bread with asparagus, poached egg and hollandaise sauce as a speacial treat.